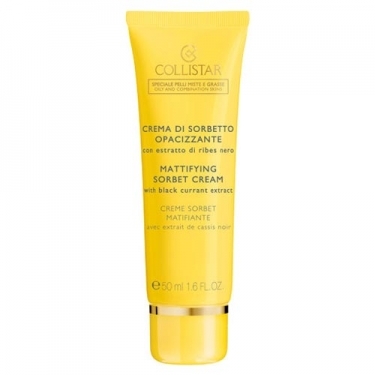 DESCRIPTION: Mattifying Sorbet Cream from Collistar is a light texture cream that is easily absorbed by allowing localized treatments through the absorption of its active ingredients. 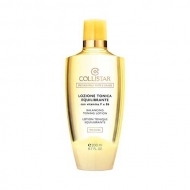 It is composed of Fomes officinalis, a mushroom extract, which allows an effective hydration while refining the grain of the skin, attenuating the enlarged pores, thus leaving a perfect finish on the skin; vitamin F and B6 known for their sebo-regulating properties which, in combination with azeloglycine, an astringent and dermopurifying ingredient, normalize sebaceous secretions and help to restore skin hydrolipidic film. 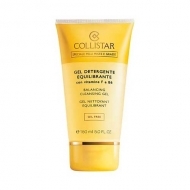 Excess oiliness is absorbed by small special powders leaving the face matte. 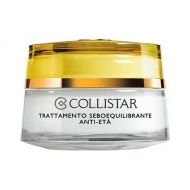 The Vitamin C + E complex prevents aging of the skin and the currant extract soothes the skin. 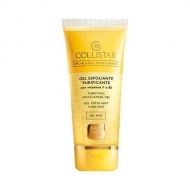 Apply the product to the face and neck previously cleaned in the morning and/or at night. Massage to aid absorption. Can be used as a mask: Apply a generous amount to the face, wait 3 minutes, or more if desired, and remove excess cream with a tissue.